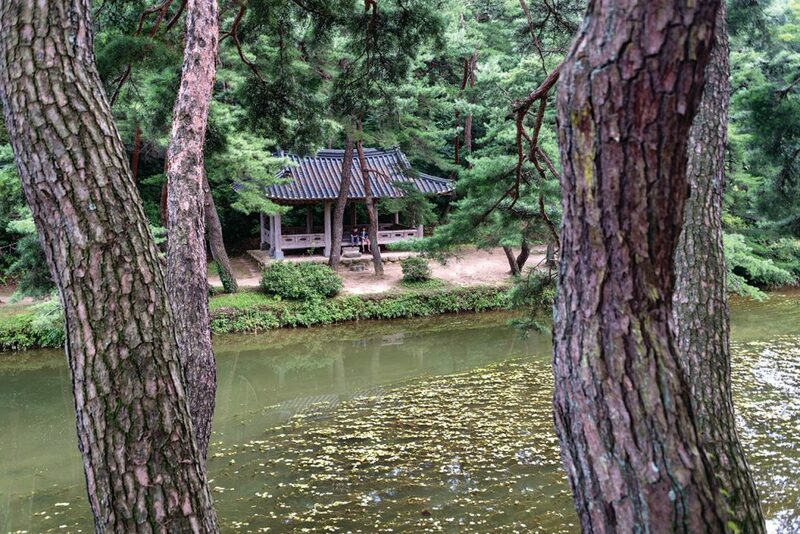 Yeongju is a land of healing. 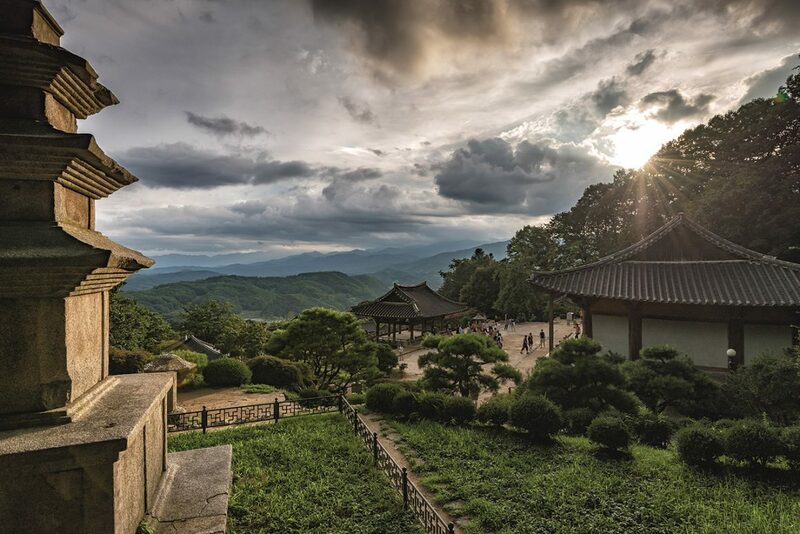 From old Confucian academies where the spirit of Korea’s scholars live on to serene Buddhist temples with majestic mountain vistas, the southwestern town at the foot of the Sobaeksan Mountains offers visitors many opportunities to relax, recharge and rejuvenate. With spectacular views and rich local traditions, the town exudes a restorative energy that salves the physical and psychological wounds of urban life. Though easy to access as a major railway hub, the city is still relatively under-appreciated as a travel destination, meaning you can enjoy the bucolic charms in relative peace and tranquility. 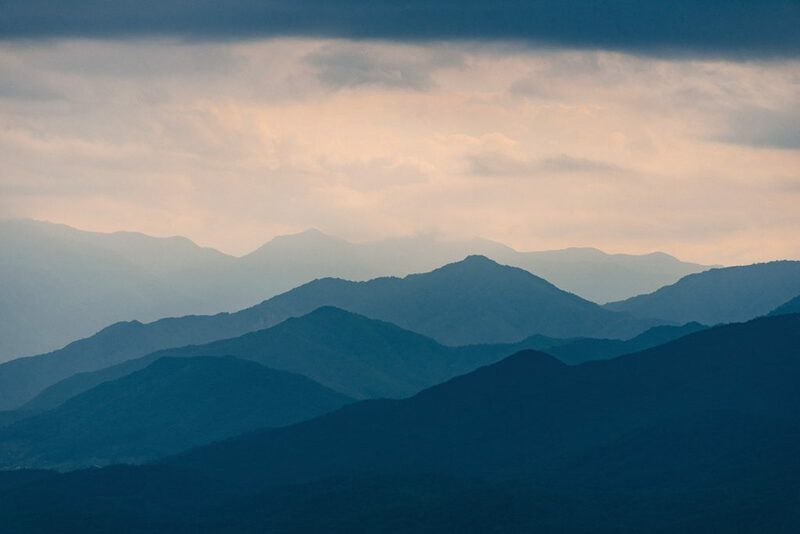 Blessed with high mountains, deep valleys and winding river, a landscape that lends itself to scholastic contemplation, Yeongju has produced many a seonbi over the centuries. There’s no more breathtaking evidence of this than Sosu Seowon, a historical Confucian academy hidden in a forest near the hamlet of Punggi. Punggi magistrate Ju Se-bong, himself a scholar of considerable renowned, founded the school in 1543 to pay tribute to the great academic and local son An Hyang (1243-1306), the man who brought neo-Confucian thought from China. Though private Confucian academies, or seowon, would become commonplace in Joseon, with many scholars establishing such schools throughout the countryside, Sosu Seowon was the progenitor of them all. Crucially, it was the first to receive a royal charter, with the court bestowing onto the school a signboard written by King Myeongjong himself. 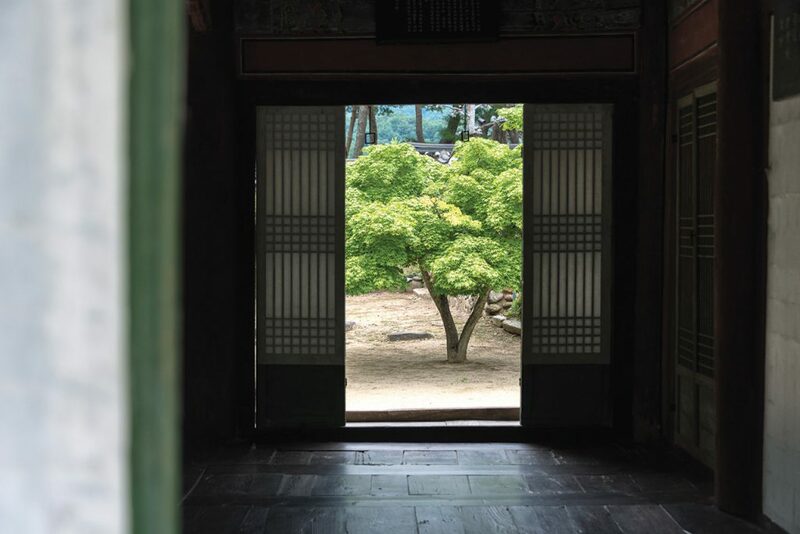 Like Korea’s other great seowon, Sosu Seowon enchants the visitor with an understated charm, its modest, rustic beauty an architectural expression of Confucian virtue. The cluster of wooden lecture halls and pavilions, surrounded by wooded hills and with a stream to its right, blends in harmoniously with its surroundings. Typical of seowon, which combined academic and spiritual functions, there’s also a memorial shrine to several great Confucian scholars, including An Hyang. The most beautiful spot, however, is the Chwihandae Pavilion, a small wooden gazebo hidden in the woods just across the stream near the entrance of the academy. Right next to Sosu Seowon is Seonbichon Village, a folk village of sorts where visitors can learn about and experience the seonbi tradition, with programs ranging from Korean calligraphy classes to traditional weddings and making rice cakes. Several historical homes, including both tile roofed aristocratic houses and thatched roof commoner dwellings, have been relocated to the village; some have been repurposed as guest houses. It’s a very pleasant spot in which to stroll and snap some photos. Of Korea’s countless Buddhist temples, Buseoksa Temple may be the most beautiful. Named for a large stone that seemingly floats next to the sancturary’s main hall, Buseoksa, or “Temple of the Floating Rock,” is a masterpiece of traditional architecture. Sitting high on the slopes of Mt. Bonghwangsan, the complex perched on a series of nine stone terraces, the temple makes masterful use of its surroundings, offering inspiring views of the mighty Sobaeksan Mountains, especially at sunset. To reach the main courtyard, visitors must climb nine flights of stone steps for a total of 108 steps. In Buddhism, nine and 108 are significant numbers, the first representing the nine degrees of rebirth before you can enter Nirvana, the second signifying the 108 defilements that torment the human condition. Accordingly, as you climb the steps, you are symbolically reborn, shedding defilements before you at last enter the temple’s main courtyard and, metaphorically, Nirvana. Uisang Daesa, one of the greatest monks of classical Korea, founded the temple in 676. The monastery is a virtual museum of religious architecture and art, home to no fewer than five National Treasures and many other important pieces of tangible heritage. Efforts are currently underway to register the temple on UNESCO’s World Heritage List. The jewel in Buseoksa’s crown is its magnificent main hall, or Muryangsujeon. The current structure dates from 1376, making it one of only a handful of surviving wooden buildings from the Goryeo Kingdom. The hall, which enshrines the Amitabha Buddha at its west end, exudes a effortless elegance with its earthy tones and simple roof bracketing. Near Buseoksa is Mt. Sobaeksan and the eponymously named Sobaeksan National Park. Reaching a height of 1,439.5 meters, Mt. Sobaeksan is not an especially challenging hike, its main ridge gently undulating through a series of peaks topped by great fields of grass. It’s a long walk, though, especially if you walk the entire ridge, which can take you two days. With little tree cover, it can get quite windy as well. For something a bit more relaxing, try the National Forest Healing Center, a nationally operated spa surrounded by dense forests on the lower slopes of Mt. Sobaeksan. 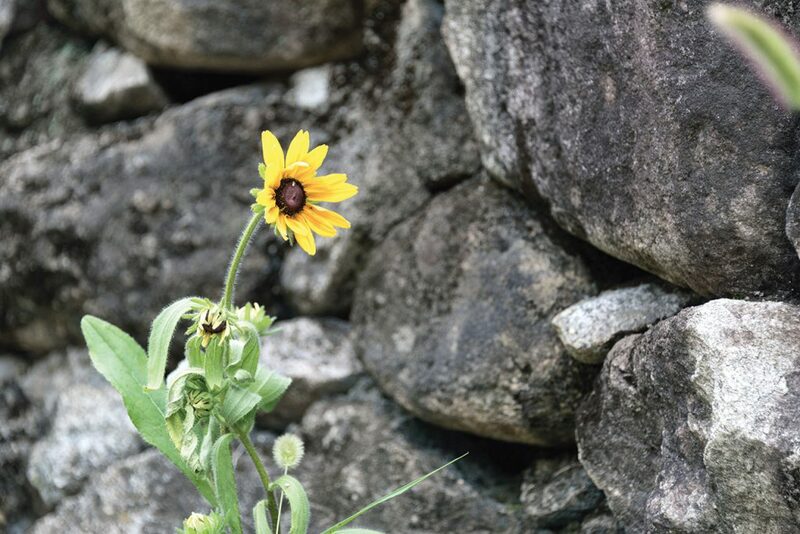 The center offers a variety of short-term and long-term therapy programs designed to bring physical and psychological healing to the world-weary. It’s a very holistic experience, with pools, saunas, forest walks, gardens, meditation classes, healthy meals, rooms without televisions and more. See the website (http://daslim.fowi.or.kr) for more details. In the hamlet of Munsu-myeon, nestled on a remote oxbow where the Naeseongcheon and Yeongjucheon streams come together, is a picturesque village of 100 or so souls, mostly descendants of the Bannam Park and Yean Kim clans, who began settling the bend in the river in the 17th and 18th centuries, respectively. 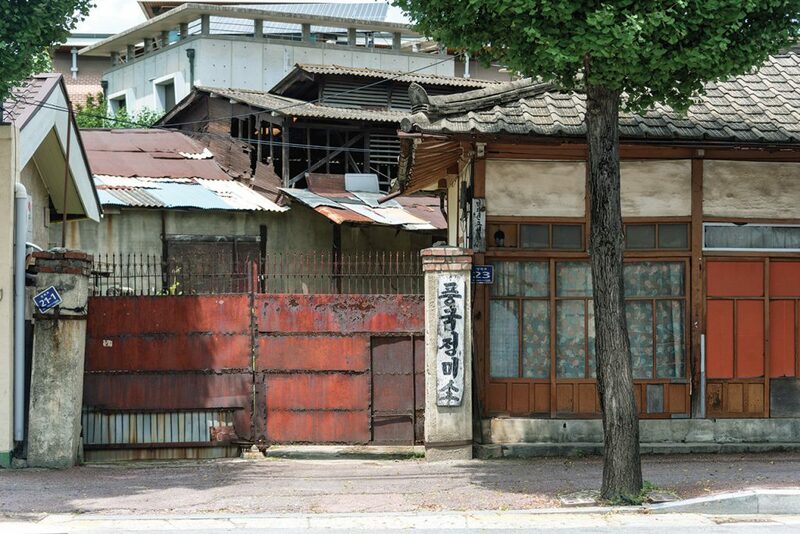 Museom Village, the name of which translates as “Island in a Stream,” boasts many old Korean-style homes, including over a dozen historical homes from the late Joseon era. 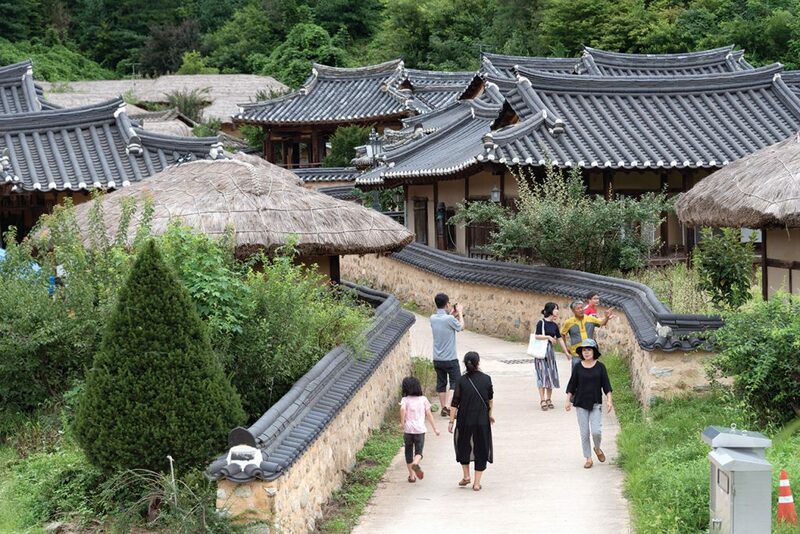 The peaceful community is like a smaller version of Hahoe Village, a Joseon-era oxbow village in the neighboring town of Andong that was added to UNESCO’s World Heritage List in 2010. For most of its history, Museom Village was an isolated place virtually unknown outside of Yeongju. This is changing, however, as television and Instagram conspire to put the community on the tourist map. Some homes are now guest houses, restaurants and cafés, and indeed, the village is one of the better places in Yeongju to stay. 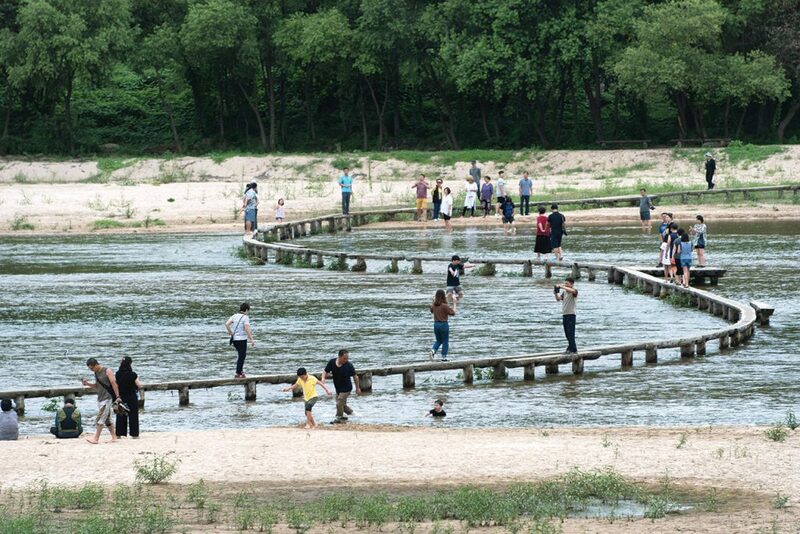 Museom Village’s biggest draw, by far, is its quaint single-lane log bridge, which snakes its way for 150 meters across the stream to link the village with the outside world. For over three centuries, this was the only way to get to the village. A concrete road bridge was added in 1979, but most visitors have a go at crossing the narrow foot bridge anyway. On a weekend, the foot bridge can get quite crowded. Early risers, though, are rewarded by a bridge that’s not only empty, but also blanketed in early morning mist. STAY> A major railroad transportation junction, Yeonju has many reasonably priced hotels and motels. For something a bit more sophisticated, though, try the Goeheon Old House (T. 054-636-1755) or Ueom Old House (T. 054-637-1537), two historical mansions outside of town. You could also stay in Seonbichon Village or Museom Village. EAT> Museom Sikdang, in Museom Village, offers delightful spreads with broiled fish, cheonggukjang, rice and side dishes. 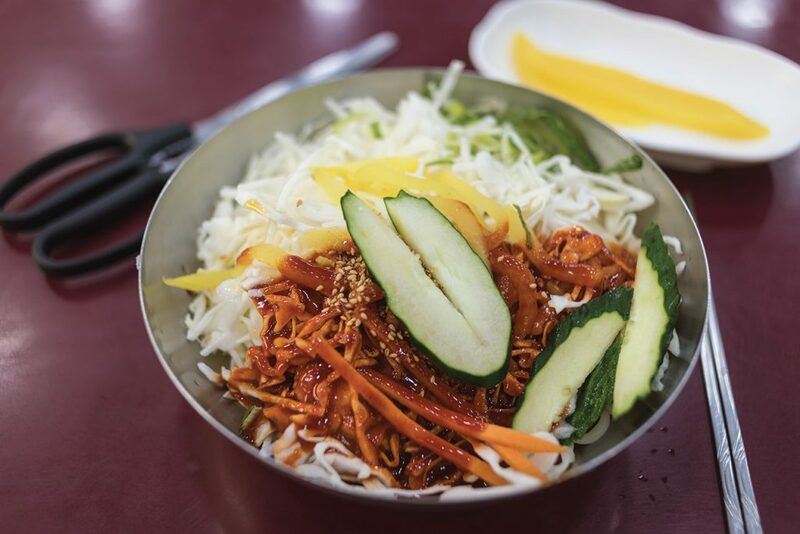 Jjolmyeon, a bowl of chewy noodles served with a tangy sauce, is something of a local favorite. Try Jungang Bunsik or Nadeuri Bunsik in downtown Yeongju for this cheap dish. GO> Trains to Yeongju depart from Seoul’s Cheongnyangni Station (travel time: 2 hours, 45 minutes). Alternatively, you can take a bus from Gangnam Express Bus Terminal (travel time: 2 hours, 40 minutes).